No matter your child’s age, modeling good financial behavior is one of the most important things you can do. For example, try opting for cash over credit. Kids are literal and may not understand that you’re paying off that “magical card” that gets you everything you want. Paper money can help you start a discussion about earning money and paying for items. Whether it’s through an allowance, a family savings jar, a first job or just your ability to say no and explain that money doesn’t grow on trees, make saving and budgeting a family affair. Be transparent about the idea that you can’t buy everything you want, the moment you want it. Work together to save money for things they individually and you as a family want. Lots of games involve the exchange of funds, and they’re typically fun at any age. Monopoly, Monopoly Jr. and The Game of LIFE are great examples. Preschoolers are at the perfect age to start learning that we need money to purchase items. 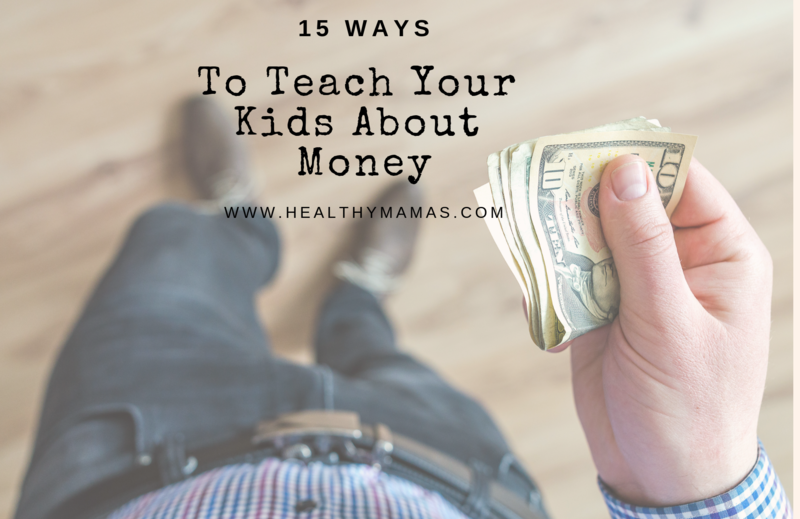 We’ve talked about using cash, and it can be especially important at an early age when kids will have a hard time conceptualizing how a credit card relates to money. Show them coins and bills and help them to understand these are exchanged for items we want. Allow your child to choose a piggy bank or gift him with one and begin teaching him how to save birthday money, allowance and more. Frequently check in on the totals and if there’s an item that he is saving up for, track how close you’re getting. Kids love to set up a grocery store in their playrooms. Make it extra fun with a cash register and play money. Kids can understand real-life financial concepts this way and have a great time role playing. Around 4 to 6, kids are starting to learn about bigger and smaller numbers, so this is a great time to start introducing them to what things cost. As you walk through the store, ask them to guess what things cost. Discuss why some things cost more than others. Over time, they’ll start to spot a good value. If a child has a gift card or you’re buying them, be transparent about what they can spend to help them learn to budget. If they have $25 to spend, give them the time and space to figure out what they can buy and how they want to spend their money, or perhaps save some for another day. Kids love to create collections, and coin collections are a great way to teach your child that the size of the coin doesn’t necessarily give away its value. Grocery shopping is an excellent opportunity to teach children both responsibility and financial planning. Have them help you with the grocery list and incorporate the concepts of sales or coupons to help explain why you might choose one item over another at the store. Talk to them about your grocery budget and see if you stay underneath it–this is also a great opportunity to explain why you might not have room in the budget for some “wants” at the store. Introduce your child to the concept of philanthropy and help them find a nonprofit that dovetails with their interests or passions. Talk to them about the idea of donating part of their money and why we donate to causes we support. You could even choose a nonprofit to support as a family and come up with ways of raising money, from a lemonade stand to contributing a portion of allowance or income each week. Soon enough, your teen will be an adult, besieged by credit card offers. Start getting them comfortable with the concept–and of the idea that it’s not a free for all–with prepaid cards. These cards will help them budget for life’s expenses while also getting comfortable with the general concept of paying for things with plastic. Children under 18 do not typically have a credit report, but showing your child how to pull your own credit report and what the report means can go a long way towards helping them to understand what the implications of their financial decisions will be down the road.